Triple-digit heat indexes for days this week, yet signs of autumn’s arrival are on the horizon. Kids going back to school, whites and seersucker get closeted until Memorial Day, colorful mums taking the place of sunflowers and pumpkin spiced everything is already everywhere – yes, it’s Labor Day weekend. However, on the farm, summer is full steam ahead until September 22nd when the fall equinox officially shifts the seasons’ gear. August and September still constitute summer when field-grown produce is peaking. These are your heat lovers, the ones that turn sunshine into sugars – sweet corn, stone fruit and melons. Other summertime crops like okra, peppers, tomatoes, tender squashes (aka: summer squash) and eggplants are overflowing. Despite the oppressive heat and humidity, farmers can see the waning season and if you pay close attention to what’s disappearing and showing up at market from week-to-week, so can you. Although farmers live by the weather report, at times hour-by-hour, the growth cycles of our products are the tell-all of seasons. We know with a fair degree of accuracy how long it takes for individual products to mature depending on environmental conditions. Greenhouse technologies, growing practices such as row covers and storage innovations like nitrogen chambers can extend the availability of many fruits and vegetables to practically year-round. 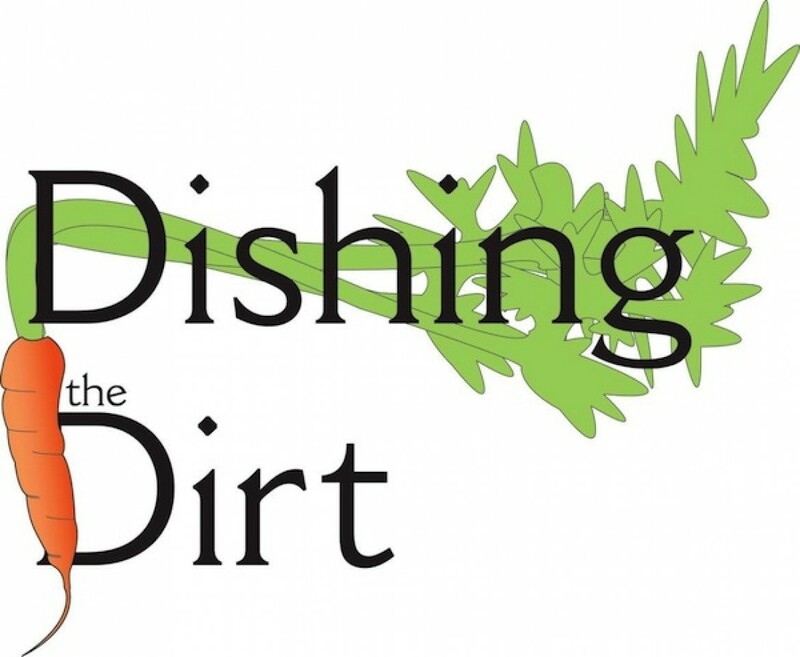 Dishing the Dirt has tried to convey the environmental impacts on your food choices from a late spring to a wet summer, as opposed to the artificial year-round availability created by the modern grocery industry. When the first killing frost hits – anywhere from late September to early November, hot weather loving field-grown products are over until next year. This is when green tomato lovers will find fruits that were picked prior to frost to squeeze every last bit of income out of the patch before pulling the vines for good. There’s fried green tomatoes, tomato relish, pickled tomatoes, green tomato pie…the list goes on. Not all produce is damaged by the cooler temperatures, including frost. Some fruits and vegetables are better after exposure to frost. These plants, such as leeks, beets, carrots, parsnips, kales, Brussels sprouts, chards, turnips and rutabagas transform their starches into sucrose – a natural form of anti-freeze – which is basically sugar. Similarly, some apples are harvested only after a frost, especially those for making cider. This is what you have to look forward to in the coming months. Customers don’t always think of animal products – meat, milk, eggs, even honey – as seasonal, but they are. Try buying a fresh, local, pasture-raised chicken from December through April. Not going to happen. Laying hens’ egg production is directly tied to amount of light during the day. Shorter days mean fewer eggs. Hens can be “tricked” daily by putting a light in the hen-house as 14-16 hours of light is needed to maintain peak production. Hens will tell you the days are getting shorter without ever making a peep. That’s why there isn’t an egg to be found at winter markets after 11 am as even with lighting there is a decline in production. As fresh poultry season ends with the year, red meat season is ramping up as farmers harvest their flocks and herds to provide the much sought-after calories customers crave in colder weather. Cooking a roast all day right now seems outright ludicrous but give it a month and that’s what everyone will start asking for. Whether or not customers realize it, buying habits are also seasonal. Currently, no one is asking for large roasts to slow-cook all day. Once the official start of fall arrives when the weather cools, buying habits will also shift. Until then, it’s still burgers, sausages, chops, steaks and yes, chicken. There were obviously no farmers on the Supreme Court in 1893 when it ruled that tomatoes (along with cucumbers, beans, peas, peppers, eggplant and squash) were vegetables even though botanically they are all fruits. Fruits are defined as seed-bearing structures that develop from the ovary of a flowering plant. But since they were consumed with a meal instead of for dessert, in the Nix v. Hedden ruling it was determined that tomatoes were to be taxed as a vegetable as at the time vegetable tariffs were much higher than those on fruits. The Supreme Court is still arguing 125 years later about tariffs on agricultural goods. Anyone remember NAFTA? Yes, tariffs and tomatoes. There’s as much history surrounding Solanum lycopersicum as there are varieties. Native to western South America, tomatoes were one of the first cultivated foods by early agrarian civilizations. In the 16th century when the Spanish colonized the Americas tomatoes were brought to Europe. Although tomato sauce has become synonymous with Italian food, their introduction can be pinpointed to October 31, 1548 when the Elder Medici received the first fruits imported into the country. Initially intended as an ornamental due to their color, over the next few hundred years regional varieties gained popularity for their intense flavors. Cruise around the markets today and you’ll see varieties that reflect their heritage such as the highly coveted San Marzano. Tomatoes have spread throughout the world becoming flavor staples in numerous cuisines and are consumed cooked, raw, juiced and even made into wine. They can be eaten ripe or green. Thanks to greenhouse technology, tomatoes have now become available at markets year-round. However, we are now in the midst of summer tomato season when the fruits grow juicier and tastier from the intense sun and warmth. In addition to all the gorgeous tomatoes at the markets, there is no shortage of ideas about how to use them. The Washington Post’s Voraciously offered six different recipes for serving tomatoes, including a panzanella and savory cornbread cobbler. Online culinary site Food52’s idea for Hassleback tomatoes filled with fresh mozzarella and basil drizzled with pesto is an easy winner with all ingredients available from Central Farm Markets. Or if cooking isn’t your thing but you still want summer tomato goodness, Savagely Good (Mosaic) offers tomato pies made with ingredients sourced from fellow vendors. My personal favorite – Insalata Caprese – is about as easy (and delicious) as summer gets. Made with slices of fresh tomato, fresh mozzarella cheese and fresh basil all drizzled with olive oil and topped with sea salt and fresh cracked pepper this dish takes less than five minutes to prepare. How’s that for fast food! And of course, no summer would be complete without BLT sandwiches. Share with Central Farm Markets what you’re doing with fresh tomatoes this summer on Facebook, Twitter and Instagram. Last year a popular national food magazine wrote an article about shopping at farmers markets that made my blood boil. The author suggested savvy shoppers go at the end of market to get great deals because farmers didn’t want to lug home unsold produce. Immediately I was at my computer and on the phone to both the writer and editor schooling them on what happens to much of the leftover produce and other perishable items unsold at the close of Central Farm Markets as well as just about every farmers market in which I’ve ever been involved over the last twenty years. It is donated to people in need. For six years, Central Farm Markets has worked with Manna Food Center to provide fresh fruits and vegetables to over 32,000 people in Montgomery County. As of last year, vendors provided over 300,000 pounds – that’s 150 tons – of food to be distributed to Manna’s clients. Prior to the close of market, folding crates provided by Manna are distributed to vendors who will have unsold perishable products. At Bethesda, the Bethesda Urban Partnership (BUP) graciously stores and delivers crates to vendors. Once vendors determine how much they will have left, Central Farm Markets purchases their products at wholesale using funds from Manna Food Center provided by grant money from Montgomery County, from market income and from donations made to the market on behalf of Manna Food Center. Shoppers may encounter young volunteers soliciting donations for Manna at the markets. There is also a donation box located at the information tent at each market. This is where the money goes. “It’s a win-win-win,” explained Mitch Berliner who founded Central Farm Markets along with his wife, Debra Moser. The hungry have access to fresh, local, healthy produce, the farmers get paid for their goods and the market patrons’ financial donations go twice as far. “All the donations go toward facilitating the collection of fresh produce,” said Berliner. As the vendors are leaving the market locations, Manna’s truck is pulling in to load up what has been purchased for them. Lots of fresh greens, melons, corn-on-the-cob, and other assorted fruits and vegetables go on the truck. During winter markets when there aren’t as many vendors, the farmers themselves aggregate a donation and one will deliver it to Manna. What is the Manna Food Center? Started in 1983, Manna has been providing numerous services to Montgomery County residents, social service agencies and emergency organizations by distributing collected food. Manna Food Center points out that despite Montgomery County being one of the most affluent in the nation, one in three public school students receive free or discounted lunches. It is not only the working poor who must choose between healthy food and living costs (rent, transportation, etc. ), but seniors, people fleeing domestic crises, and disabled residents. At the information tents at all Central Farm Markets is a donation box. 100% of money given is used to purchase food from CFM vendors that is directly given to Manna Food Center. For anyone who wants to volunteer, there are numerous opportunities both at the Gaithersburg warehouse and throughout the community. Click here to learn more. At Mosaic Central Farm Market, produce gets donated to Food for Others. Last week I sat down with a young woman who was about to attend her first ever farmers market with meats she had raised as a fourth-generation farmer on her family farm. I had met her the previous year at my USDA processor. She lamented that for what she was making from selling her livestock at the local auction barn she’d never be able to pay her bills on farming alone. Turns out that she was raising her pigs on pasture, her cows were grass-fed, her chickens were free-ranging, she used no chemicals, hormones or antibiotics and she was still getting commodity meat prices, a pittance, at auction. “You should go to market one week to see what it’s like,” suggested my butcher who is a co-packer for many small-scale farmers who sell direct through farmers markets and restaurants. A few weeks later, she was at Bethesda Central Farm Market with me to see what it was all about. Her eyes grew wide with the number of vendors, the diversity of customers, the array of products and yes, the prices. For her, purchasing direct from the farm had always meant a steep discount. That may be so in remote, rural counties, but the clincher was when I explained that for many of the vendors farming was our sole source of income; we farmed for a living. The prices she was seeing were what they must be to list farming as an occupation; not a footnote, not a hobby. I shared with her that when I first began going to farmers markets as a vendor, the most difficult aspect for me to overcome was having a customer complain about the prices of my products. It was devastating knowing how much investment of money as well as work went into raising the food I was trying to sell. I netted $11.15 from my very first market. In utter defeat, I limped back to my office job for several more years. I explained that the changes I made reflected the true cost of production – not just the feed and processing. There are so many other factors that go into pricing products – insurances, market fees, tents, coolers, tables, signs, certifications, licenses, credit card transaction fees, vehicle costs – it adds up quickly. Similarly, setting prices below production costs hurts other farmers with similar products. The fastest way to earn the ire of fellow vendors at a market is to undercut them by a wide margin. This usually results in harsh words and hurt feelings. Over the years, I’ve been on both sides of that table. As with everything else in life, it’s a learning experience. According to the Farmers Market Coalition, “In 2017, American farmers receive only 14.8 cents of every dollar Americans spent on food. At farmers markets, farmers head home with upwards of 90 cents on the dollar.” Additionally, the USDA puts off-farm costs including marketing, processing, wholesaling, distribution and retailing (they forgot to mention profit) at more than 80 cents of every food dollar spent in the United States. Currently, the United States is hemorrhaging small to mid-sized family dairy farms on a scale never seen. Why? The farms are simply not paid enough to cover the costs of production of their raw milk. When farmers choose to process, market and distribute their own dairy products, as Dishing the Dirt discussed earlier this year, the farmers are able to capture the majority of profits that otherwise would go to the processor, thus they are able to remain in business. Business. I think one of the hardest reasons farmers have effectively pricing their products for direct-marketing is they don’t look at farming as a business first, but as a way of life, a passion, a calling. When working with young farmers, especially those who are the youngest of a multi-generation commodity farm, these are a few bullet points I give them when it comes to setting their prices. Track ALL of your costs. From the cost per mile of operating a vehicle to the bags of ice needed each week, it’s the little things that add up. Understanding the true cost of getting your product to market is a must. Know the comparative products’ prices both at the farmers market AND at local retailers. Coming down in price is discretionary, going up is not. This past spring a customer informed me that a local retailer had leg-of-lamb on sale for the holidays. As part of my regular reconnaissance I had been to that particular store the week prior. Yes, the leg was on sale, but the price of whole racks was double what mine was. “There’s only so much profit to be made from an animal,” I explained. In the commodity arena, it boils down to quantity versus quality. The buzzword that has been bandied about for the last twenty years has been sustainability. Yes, there are many aspects to sustainability in agriculture such as soil health, conservation, animal welfare, genetic diversity, environmental responsibility, carbon sequestration, etc. What it really boils down to is customers who are willing to pay a fair price that keep the farmers in business. After the success of my young farming friend’s first day at a new market, I foresee her forging a new path for her family’s farm so her infant son can grow up to be a fifth-generation farmer. Sandra will not be at Bethesda Central this Sunday but will return next week.